Have us research your family tree using; Federal Census Records, Birth & Death Certificates, Marriage Licenses, Immigration Records, Cemetery Records, and Old Newspaper Obituaries which are all available digitally to us. Official records, and sometimes photos, will be kept in your personalized family tree. We are able to trace international records. The cost for an enlarged tree with children/siblings $100. A pedigree tree with just parents $50. Proof is kept with original copies of Marriage Licenses, Census reports, Military Service, and other records. We will answer any questions and explain what's needed to get us going on your personalized family tree. 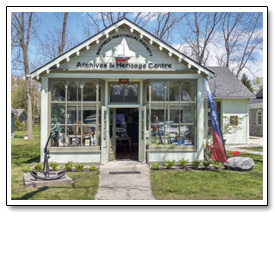 Please support Bayfield Historical Society with a donation. We need to raise $10,000 annually to cover maintenance of archival records, artifacts and building maintenance. To move forward with the times archives and records need to be digitized for the internet. Any donation will be greatly appreciated. Please contact us for more details.